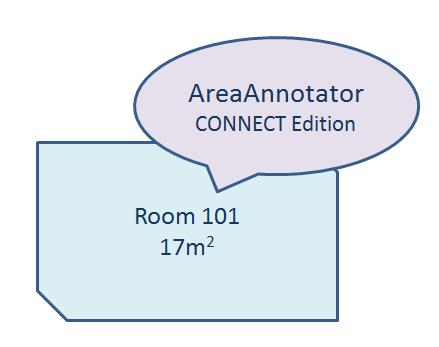 AreaAnnotator™ CONNECT Edition is an AddIn or App that adds functionality to Bentley Systems MicroStation® CONNECT. 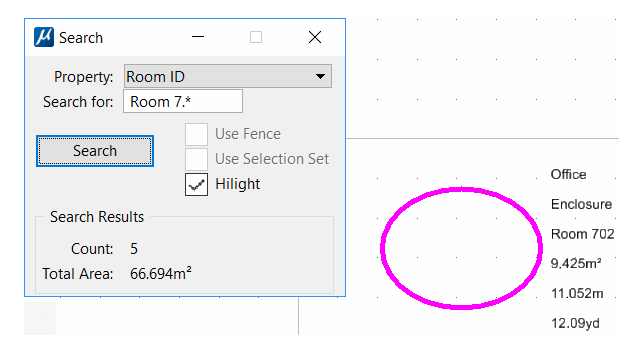 It's a tool for architects, engineers, planners and technicians. 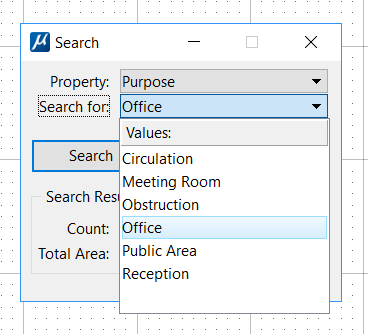 AreaAnnotator has utilities that help you to find area features tagged with a particular value. These tools are a work-in-progress as our customers tell us what they would like to search and how best to achieve a result. 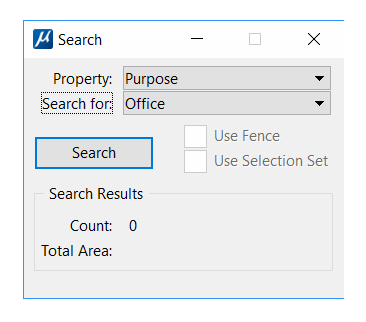 The Search dialog provides a combo box that lists the Item Type properties available with AreaAnnotator. 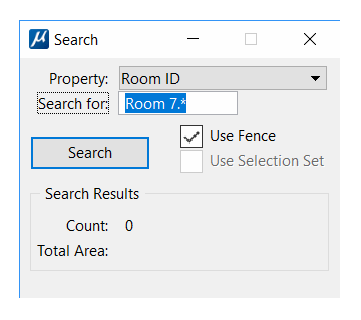 Choose a property, such as Room ID or Purpose using that combo box. You can restrict your search to only those area features currently selected or only those area features defined by a fence. 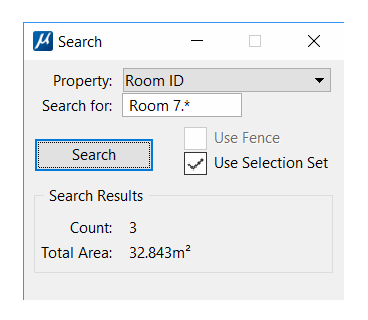 AreaAnnotator looks for area features in the selection or fence that match your search criteria. Return to the AreaAnnotator main page.